Based on the best-selling novel by St John Greene, the film is the heartwarming story of Singe (Rafe Spall) and Kate (Emilia Fox), a couple from North Somerset, whose lives were turned upside down when Kate was diagnosed with incurable breast cancer. Over her last few days, she created her list and wrote her thoughts and memories down to help the man she loved create the best life possible for their two sons after she was gone. 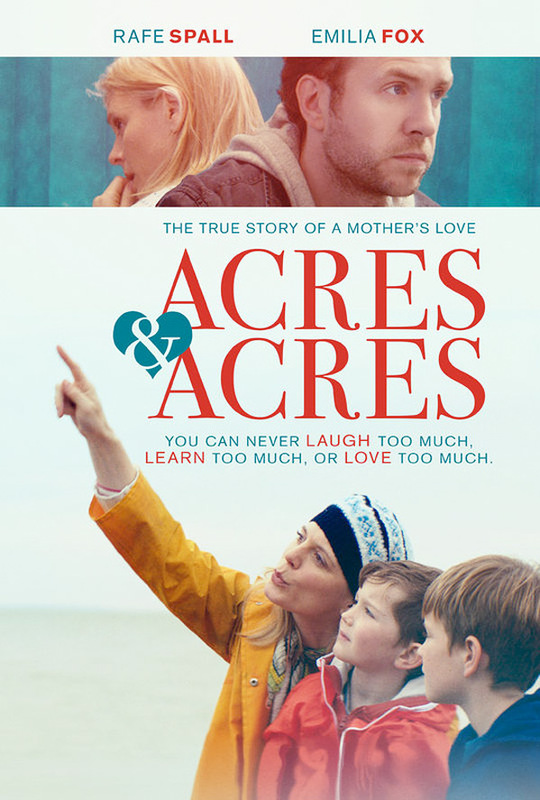 Acres and Acres is both written and directed by English filmmaker Niall Johnson, director of films including The Big Swap, The Ghost of Greville Lodge, Keeping Mum, and The Stolen previously. Adapted from St John Greene's book "Mum's List". This originally opened in the UK in 2016, and in Europe last year. Gravitas will release Acres & Acres in select US theaters + on VOD starting April 5th this month.